Jen: Hey, everybody. It is Jen Hatmaker. Welcome to the show. It's the For the Love Podcast. We are wrapping up the series we've been calling “For the Love of Summer.” Today, guys, you're in for such a treat. I cannot even tell you. I'm so happy that you have tuned in. This is our crowdsourced episode. As you know, we crowdsource the last episode of every series, when I put it out to you like, Who do you know? Who are your people? Who should we hear from in this particular conversation? Who's your wonderful tribe? We asked, “Who has a great summer story? Who's a summer person we should talk to?” You guys came back with the perfect summer thing. It's a couple named Darell and Stacy Smith. You guys, they have worked at the same Christian summer camp for more than 30 years, closer to 40. This is the same camp where they met and, ultimately, got married. It's too much. I don't want to give too much away because it's all just so precious. But I was delighted when their daughter, Abby, nominated her parents and said, "Wait. My parents are literally, quintessential summer people. 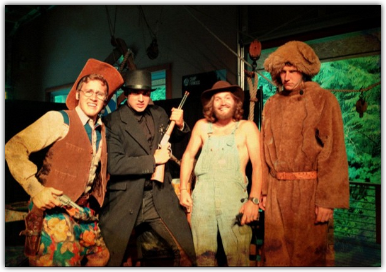 They have run a summer camp for my entire life." 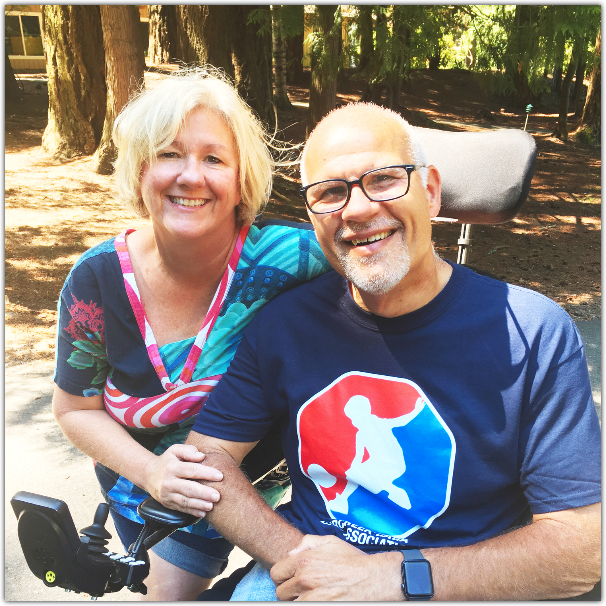 Stacy and Darell are from Bellingham, Washington, so way up in the Pacific Northwest. 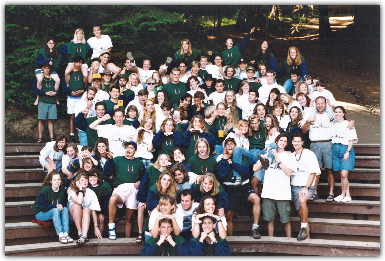 They've been a part of this Christian camp organization called The Firs since 1985. In fact, in the story they told us, their first time when they were both on summer staff and met was 1979, so oh my gosh, you guys. 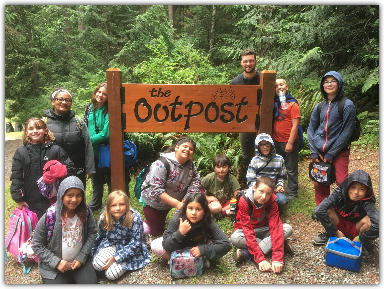 They offer all kinds of camp and childcare programs not just throughout the summer, which is their main time, but throughout the year as well. 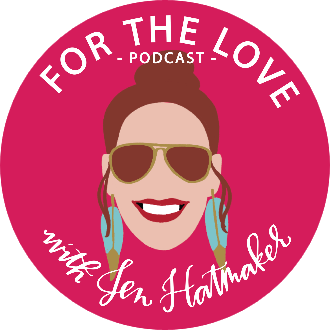 By the way, we'll have links to everything that they do with their wonderful camp at jenhatmaker.com over under the Podcast tab. 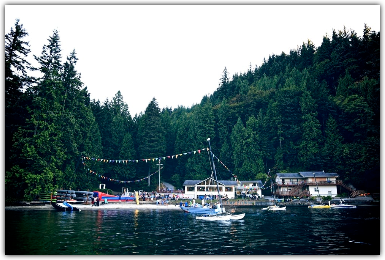 This place is the classic picturesque camp setting. I mean, think of every movie that you've ever seen set in a summer camp. This is what this is. It's right on Lake Whatcom. All my Washingtonians will know what that is. It just looks like an absolute blast. They’ve actually held lots of different positions over the course of the years, but right now Darell is the director of Fircreek Day Camp, and Stacy's the director of After School Adventure, which we'll talk about those things. But, you guys, they are so delightful. You're going to enjoy this hour so, so much. They tell hilarious stories about shenanigans and camp romances and pranks. 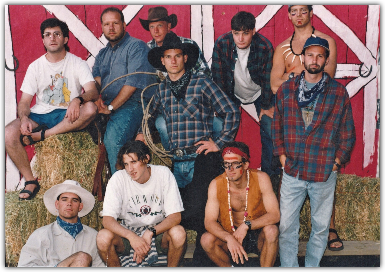 I mean, can you imagine 30-plus years of camp memories that they have seen over the years? 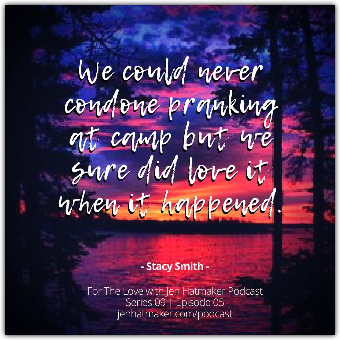 Listen, if there's anything about you that has ever loved to camp, that went to camp, that has camp memories, you're sending your own kids to camp, you love camp movies, I'm just telling you this episode is going to be so much fun for you. Thank you for joining us. Basically, by the end of this hour, I wanted Darell and Stacy to adopt me and be my best second set of parents and maybe also move next door. They're so, so, so dear. You're going to love them. Guys, help me welcome to the show Darell and Stacy. I am so excited to welcome you both to the show. Darell and Stacy, thank you so much for saying yes to this crazy thing. Jen: We're in the middle of the series called For the Love of Summer, and you're the end game. You're the grand finale. I cannot think of a better way to finish off this series because, in my opinion, there's nothing more summery than going to camp. That is the epitome of summer. I'm so happy that your daughter, Abby, nominated you and that you said yes. You could've said no. Listen, I just told my audience a little bit about you and about The Firs, where you've served for, you guys, 30 years. What in the world? I want to thank you for making the time to talk to us. You're just right in the thick of it, right at summer. I mean it's game time for you guys. It's summer at camp. Jen: Give us a little glimpse into what's going on at The Firs today. Are there a billion kids running around? What's on the docket today? Darell: Pretty much, yeah. They're running around, and we're hoping that we know where all of them are. 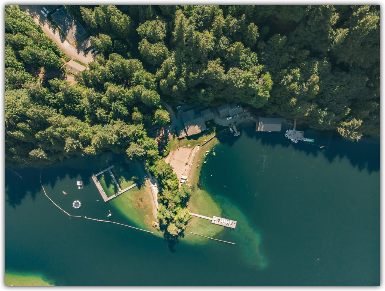 But down at Camp Firwood, which is right down on the lake, there's a couple hundred middle school kiddos that are down there just having the time of their life. Then up here, six miles up the lake at Fircreek Day Camp, we have a couple hundred little elementary school kids that are there just swimming and playing sports and frolicking in the woods and just having a great, great time. Jen: That's so fabulous. Do your middle schoolers . . . is this an overnight camp for them, or is it a day camp? Darell: Yeah, down at Firwood, that is a resident camp. They will be spending the night there for a week at a time. Jen: That is so amazing. I have already crafted a very developed image in my mind of what all this looks like. It's some sort of cross between my personal childhood experiences at camp and the movies. I'm just going to say that's true, that that's exactly what you guys have there. Listen, will you just tell my listeners first a little bit about the roles that each of you have right now, currently, at The Firs? 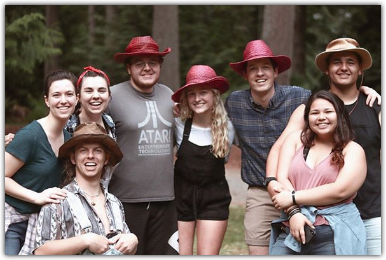 Darell: Well, currently I am the director of Fircreek Day Camp, which is a camp that services all of Whatcom County and beyond. Then, Stacy, why don’t you tell us about what you're doing? Stacy: Right now I am currently the director of, It's called the Awesome Summer Adventure. During the school year, it's called After School Adventure. But we both partner together and lead what we call the Children and Community Department of The Firs. 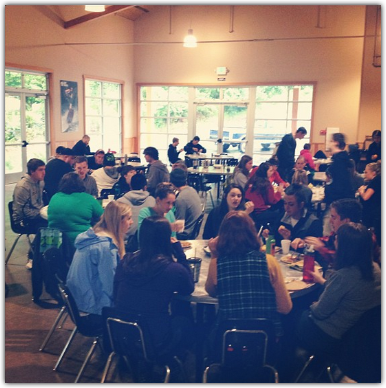 Because of the day-camp nature and because of the after-school component, we're really immersed in our community. We've got this slice of property that's beautiful and we've got waterfront, but really we've become urbanized in that neighborhoods in the community have grown up around us. I run the Awesome Summer Adventure, which is state-subsidized. 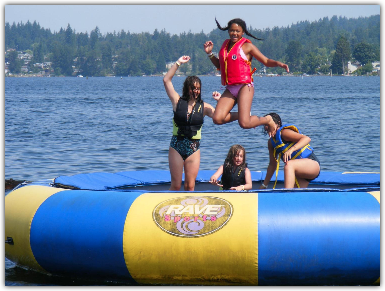 The program that I'm involved with is licensed by the State of Washington, which means it allows us to have underprivileged and foster care children be able to come to camp every day. 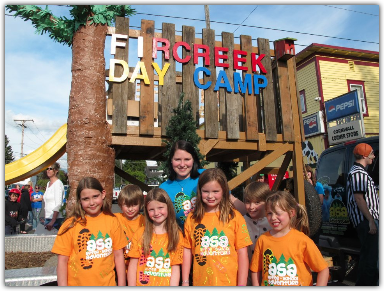 We go on a field trip every day to Fircreek Day Camp. We figured out a back door for kids that would never get to experience a lake, water, boats, canoes, kayaks, the phenomenal program that Fircreek runs every summer. We get to go to that. Our kids, it's just pivotal in their lives. Jen: Oh, my gosh. I love that piece of your story. Here's what I want to know. I wonder if you'll take us back in time because, literally, the best thing I've ever heard is that you guys literally met at this camp as campers, right? 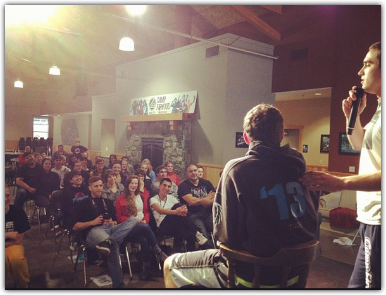 Jen: Can you take us back and tell us how did you each get involved with The Firs and Camp Firwood? How did you meet? I mean this is like the stuff that summer love dreams are made of. Darell: Sure. Well, actually, when I was in high school, I went to be a camper at Camp Firwood. That summer, I knew I wanted to come back the next summer as a CIT, a counselor in training, and so I did that. You know what? I've been doing this for 40 years, and that CIT summer was the best summer of my life. It was just awesome. I just knew that I wanted to be the director there at some point in my life. That was what I wanted to do. I felt like there was a calling there. A number of years later, after going to college and doing all those things, and I spent all my summers at Camp Firwood on summer staff. And one of those summers, it was actually the end of my summer staff season. I was going to be on full time staff at The Firs. Stacy had come down to Firwood on a trip. Stacy: What happened was I'm from Louisiana. My sister, through some course of about six months, was talking to me about a relationship with Jesus. I grew up in the Catholic faith and everything and went to Catholic school, but I finally had a relationship with Jesus my senior year of high school. I think that every step from that point on to getting me to the northwest was divine appointments. Somehow she got invited to go and work at this camp as a counselor at Firwood. She didn't want to go by herself, so she dragged me along. I was a CIT that summer. That was the summer of '79. Darell was . . . He had already worked at Firwood and been a camper. He was a leader. We never had a relationship, other than being really two people on a staff of 80. Honestly, at that point, I thought his name was Bubba. And I mean he was everything. You said the name Bubba and everyone knows Bubba. Stacy: I thought he was a little too cool for school. Jen: Okay, got it. Sure. Darell: You know what, Jen? I probably was. Man, back then, I was. Stacy: Camp is over, everyone goes their separate ways. I never give really another thought to Bubba at that point, but I knew in my heart that God had called me to a special place like this. I eventually get a degree from Biola with recreation camping. I'm working in California, some bad things happened there. Basically my sister and I, who now we're living together in California, decided to take a road trip. Through the course of a week, we decided that we would go to Bellingham on our way to Glacier National Park. 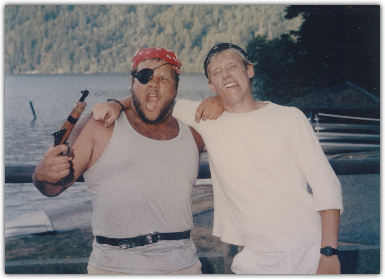 We find the names of Smear and Smudge, who were the directors at the time we served at camp six years earlier. We knocked on their door, basically. They took us in, and we were there for six weeks. Stacy: Yeah. They were just loving on us and caring for us. During that time, they said, "You should go down to camp. I think there are people who worked with you six or seven years ago." I went down there and I was talking to a couple of people. Then there was Bubba, still at camp. 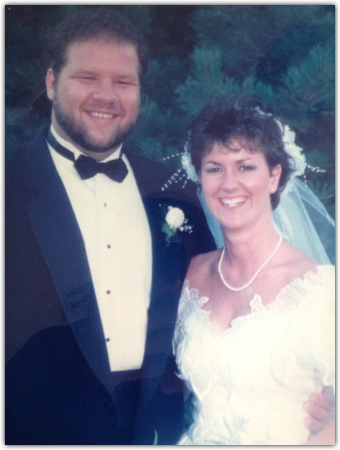 Stacy: We were talking and, man, my heart quickened because I was like, "Something has changed in this guy." Stacy: I was like, "Wow!" Anyway, I had just been invited to come back and work at The Firs, do some housekeeping, and then work with the college department. Really the goal was to do some healing. I said, "Sure." I moved up here. He was also, this was the summer that he was quitting summer staff and doing it as a lifetime career or whatever. He was coming on full time staff at The Firs. We ended up living next door to each other. Stacy: When you're in this community, sometimes this is kind of the community that you live with. We logged a lot of time together. Six months from when we moved next door to each other, we were engaged. Then six months later, we were married. Jen: I love it. It worked out. Jen: I mean it worked out. Jen: How many years have you been married? Stacy: Oh, 32. We're going on 33 this year. Darell: Yeah, 33 years, 34 years at The Firs, something like that. Jen: Great, you guys. I mean, such a special and a rare story. It's rare to hear of anybody with that kind of longevity in one place, in one career, especially something like camping. It just feels so incredibly special, this story that you have woven together. Obviously, at this point, you've been involved in the camp, well, heck, I mean for you, Darell, almost 40 years. Jen: How have your roles changed over all these decades at The Firs? What motion did you have within the staff up or down or sideways? Darell: Well, I had upward motion as far as being at Firwood. I was the director there for 10 years or so. Then became the program director of The Firs, so all the programs at The Firs were on my plate. 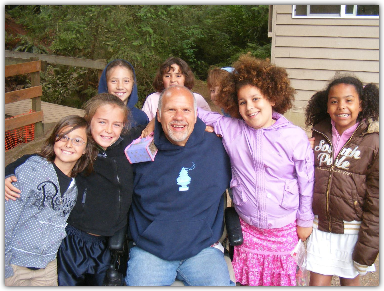 Then my health went south a little bit, and so here I am leading day camp, Fircreek, and it's what I can do. I'm just so thrilled that God has seen me worthy to do that, as well as people at The Firs, so I've been doing it for 13 years. Jen: Yeah, 13 years. Wow! You, Stacy? Darell: She's still my partner, but you kind of . . .
Jen: That's true. That one does actually fit. Stacy: Yes. Back then, it was awesome. I mean it's hard to explain, but he is someone who works with all of these young leaders and young adults, emerging leaders. He can make you believe you can do anything. Stacy: It is amazing. Then when you decide to step into that space, you want to say a few unpleasant words because it's like, "What? This is not easy. You made it look so easy. You made me believe I could do it." But that's the kind of influence he has. Then when his positions moved into more of an administrative and overall of the programs, that was the time when I had started a preschool in our home just because I was lazy and didn't want to drive our kids all the way into town for preschool. I decided, I can do that. Stacy: They were all at my house anyway, and so I thought, Let's organize these kids and have a curriculum. Then it came a time where I wasn't able to do that. 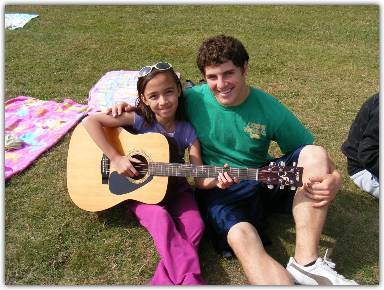 Our kids were growing up and The Firs wanted to start a community after-school program. That's when I went to work for Darell at that point where I got paid. I kind of got this off the ground. I really thought that probably after a couple of years of getting it off the ground that I'd find a big-girl job and move on. But 17 years later, it was a couple years in that I knew that this was where my heart was, was creating spaces for kids who, a lot of times were, discarded and just in households that were so busy that, yeah, we were able to create a space and a pause for them. Jen: Yeah. 17 years later, here you still are. You mentioned your kids. Of course, I already mentioned Abby, who nominated you for this. You have three kids. You've got your daughter, Abby, and you have two sons. What was it like? I think it's a fascinating idea to think about being the kid of the directors, like the kid of the camp leaders. What was it like raising your own kids alongside this massive crop of campers every single summer? Darell: Yeah. Definitely there are benefits to that. In other words, it's like when you have your kids totally in the presence of 80 unbelievable young adults that are just awesome role models and that kind of stuff, that's a great benefit. 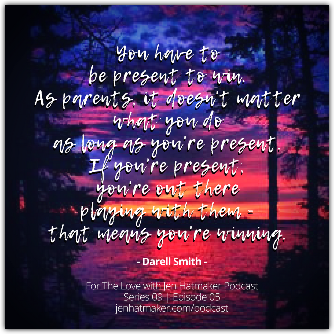 Darell: At the same time, it can be a hindrance because, just like you said, Jen, your kids are put on display. And they're expected to be, "Wow! That's Bubba's son. That's Stacy's daughter," or whatever, “And they must be something special.” There probably was a tendency for performance a little bit, maybe a little pressure that way. At the same time, one of the benefits is, I think, that these young summer staff wanting to grow as leaders, and they're seeing their leaders parent their kids. They're seeing us be successful and they're seeing us be failures in certain times throughout the summer. Darell: It just made it real. Jen: Yeah, I like that. I relate to that because my husband and I are pastors. It's a bit like pastors' kids. When you're growing up in the church that your parents are their leaders of in real time, in real life, it has a wonderful upside and it has a potential downside. I very much relate to everything you're saying. But what a wonderful childhood. 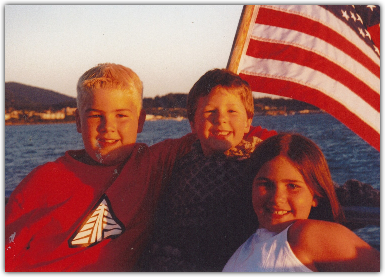 What great memories your kids have. I mean, this is almost like a dream childhood, it seems like to me. What a fabulous environment to be surrounded by not just your parents and other kids, but the leaders, the lake, the water, the outdoors. It just sounds amazing. I'm sure, at this point, I mean you must—you've had campers who were once campers and now their kids come, maybe even their kids. Darell: Oh, Jen, here's the deal. Every summer now that I've been here for a long time, there's a camper that comes and they're bringing their kid and saying, "Okay, this is the director when Mommy was a camper here...."
I'm going, "Oh, that's a little bit weird. I'm still here." But this last summer, a grandmother brought her grandchild. I'll never forget it. She goes, "Johnny, this is Bubba. He was the director when your grandmother was a camper." That was creepy. Darell: I just went, "Man, I'm still here. That was weird." But, yeah, it happens all the time. Jen: Oh, I love it. 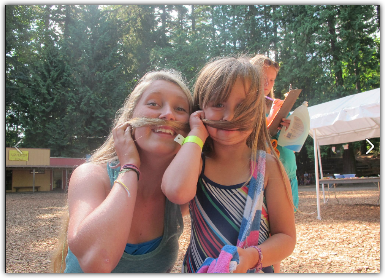 Because camp, there's just something about camp that imprints on your childhood memories like nothing else does. It's this sort of shared bank of memories and places and traditions that you just almost can't wait to share with your own kids. It's almost this insider language. Jen: This insider experience that is so special, so incredibly special. Stacy: The joke used to be that “You don't want to be in a crowd of summer staff and not having experienced it, because there is such a shared history.” It’s also a little weird in the sense that there's these jokes and there's just this automatic connection and bonding because of what you've experienced and you've gone through. 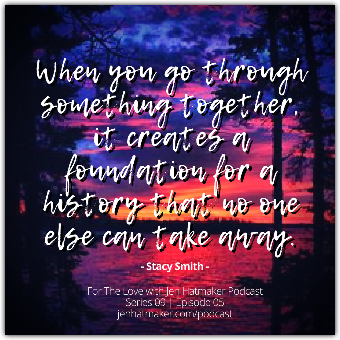 Stacy: I still do believe that when you suffer together, it creates the foundation for a history that no one can take away. But we've had people who have tried to be a part of those groups, and they've just had to get a camp name so that they could feel a part of it because it does create a history. Our kids, I don't think our kids would ever give it up. But I think the older that they get and they start to become more self-aware and understanding, I think they understand that there was definitely some challenges with being raised in that environment. Darell: Sure. 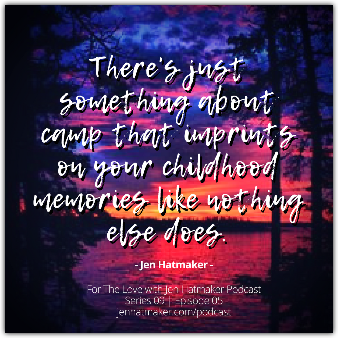 Jen, back to your statement about kids going to camp and some of the fondest memories of things that they learn there: what I understand and what I experience is that for a kid, these are their memories, maybe their first positive memories that they have that their parents don't share. It's just theirs. They're able to go home from a great week at camp and share that with their parents, and their parents pretty much are riveted in terms of listening to their story of their experience. Jen: Yeah. 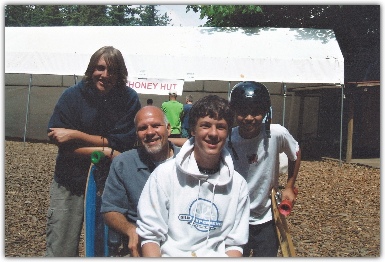 I was a camp kid growing up. We have five kids, you guys. It's also bananas. Jen: Our kids are camp kids. Stacy: You have your own camp. Jen: I feel like we're at summer camp every day of my life. It's called my house. Jen: But I just relate so much to what you're saying. Our kids all got back from camp just a week ago. I mean we just had to sit on the porch for three hours just so they could download. I mean they were talking over each other. The stories are just pouring out. It's just so special. That is such a special childhood memory. Jen: You guys, honestly, the stories you could tell. I can only imagine. I can only imagine through these many years at summer camp. I heard there was an incident involving the family dog and junk food and getting stuck under one of the cabins. I've heard some stuff. 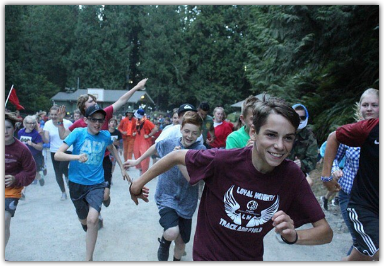 Can you tell us just any, a couple of crazy moments, hilarious moments, absurd moments that have happened under your watch at camp? Stacy: Well, oh gosh. I mean so many. 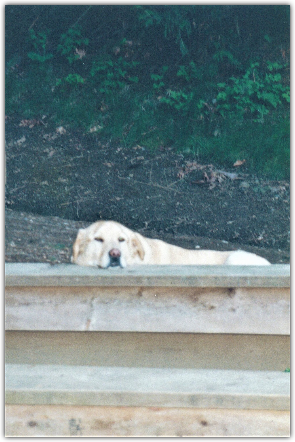 One the dog, our dog, was a legend at Camp Firwood. One afternoon, the staff came to Darell and he said, "Man, Bubba, Puppers is under the girl CIT cabin and we can't get him out. He won't come out." Well, they couldn't get him out so they tried all these different things. They put food out that would maybe coax him out, but they realized he is stuck. Darell: Well, and also Puppers is going, "The longer I stay here, the more I get fed." Jen: Yeah, I mean he's not a dumb dog. Stacy: Exactly. They eventually had to rig up this rope system and belts and different things like that to pull him out. Darell: To herd him out under the cabin. But there's all kinds of camp type stories with campers doing pranks on staff. Jen: Oh, yeah. I'd like to hear about some pranks. Stacy: One of my favorites was we have a girls' night out and a guys' night out. One night all the females go overnight and they camp in the woods on some of the property. Well, one year, when the guys were in camp, they decided to take all of the girls' cabins and stuff and switch them . . . No. Yeah, they switched them all out. When you went back to your cabin, it was like, "This is not my cabin." Darell: It's a boys' cabin. Stacy: Yeah. I thought that that took a lot of work. Jen: That was a lot of work. That was a lot of work. Stacy: We could never condone pranking, but I sure did love it when it happened. Jen: Of course you did. That's one of those things that you go back to your own house and laugh your heads off about it. Jen: We do this as parents all the time. When our kids get sideways and we try to act stern, but the second they're out of sight, my husband and I just dissolve into laughter. We just can't let them see us laugh, but that's so much fun. Listen, Stacy, I heard that you try to pull off really elaborate schemes to help your staff fall in love, and I cannot tell you how happy this makes me. This is my favorite thing I've ever heard. I've got to know more about this. Do you have any success stories you can share? What is your matchmaking gifts that you are unleashing on your unsuspecting staff? Stacy: Oh, that was probably one of my fondest roles, when I didn't have to be a boss of anybody, then I could really do some things. I do consider it as part of one of my spiritual gifts that I have, discernment. I can discern, This would work. Some of them haven't worked. But, oh, I used to rig drawings where we would give away a staff sunset dessert cruise on our barge. Jen: Oh, for Pete's sake. Stacy: I would rig it. Stacy: Then, "Oh, you've been chosen." Then we get to choose who they take. They don't get to choose who they take. Stacy: We set them up. We were watching people go off into the sunset. Yes, there was one of those dessert cruises that did end in a marriage. Stacy: Yeah. That was one. Then during the year when camp is off, we usually have a discipleship group of a handful of people that we continue on through the year working with. Darell: Yeah, these two groups were . . . Stacy had a discipleship group at camp and I had a discipleship group at camp. Then we continued on throughout the year meeting together. Go ahead, Stace. Jen: Oh, yeah. That gave you a lot more opportunities, when you're off the clock. Stacy: Listen, eventually, I have to admit that Darell's discipleship group dated one of the girls, all of them had dated one of the girls at my time. Darell: Because she was amazing. Stacy: But, eventually, they all figured out who they were supposed to be with. His discipleship group married all the girls in my discipleship group. Jen: Come on. That is not true. 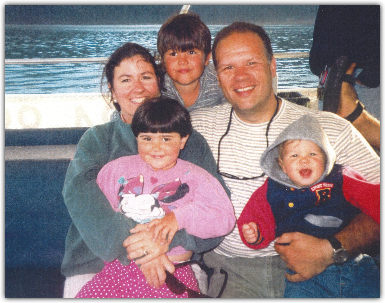 Stacy: We're their godparents to their children. I mean, it's pretty fun. Darell: I performed a wedding and we are godparents to their kids. Jen: That is amazing. That just sounds fake. 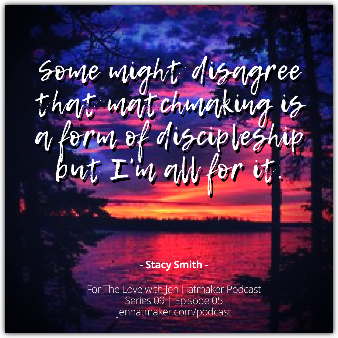 Stacy: Some might disagree with that form of discipleship, but I don't know. I'm for it. Jen: No, I'm for it. I'm Team Discipleship Marriages. I love it. I love your approach. I think you should write a book about it because that is so awesome. Let me ask you this. A lot of my listeners are parents. Some of us may or may not get the chance or the opportunity to send our kids away for this wonderful week, whole week, at camp. But at this point, we still have a lot of weeks left in summer that a lot of us have our kids at home. 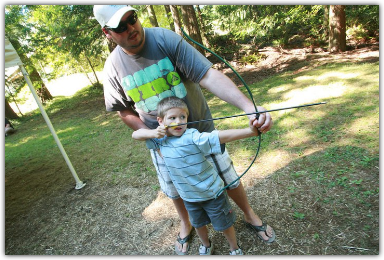 I wonder if you could tell us what are some of the popular activities or projects that you get your kids involved in the camp that may be able to be replicated, to some degree, for those of us who are essentially running our own summer camps in our very own backyards? Darell: Sure. I'll tell you, we spend thousands of dollars on different play toys and activities and those kind things. 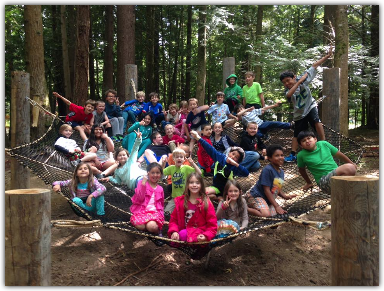 But one of the biggest things that we have at Fircreek is we have three acres of woods, and they're left open just so kids can explore. In that time in the woods, they build forts. As a little kid, and you have sticks and downfall and all that kind of stuff and you can build a fort, it just becomes, man, just awesome adventure. Darell: I'm wondering that whether it's sticks or boards or quilts over chairs or whatever in the backyard, if Mom and Dad are out there building a fort with their kids, it's pretty darn awesome. 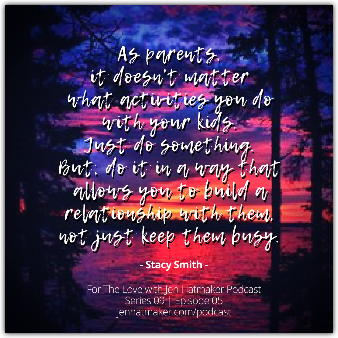 Stacy: I think my advice to parents is it doesn't matter what you do. Do something because kids need to do something. But do it in a way that allows you to build a relationship with them, not just to keep them busy, not to keep them active, but so that they get you. They just want to connect with their camp counselors. They look up to you and they want to see, "Oh, they're not so cool that they can't play the game, too." "Oh, they created a slip-and-slide for us." "Oh, now they're going down the slip and slide." "They let me put paint on them to go down the slip and slide." Stacy: But I think it all comes back to intentional time spent with doing whatever that creates an avenue for a better relationship. Jen: It really is a winning formula. I'm listening to you talk, and I'm thinking about my own kids. Summer is long. It's 12 weeks. Nothing has to be fancy or big or expensive or over the top. I mean I always try to think, What am I already doing, and how can it be a connecting point? I love to cook and I cook a lot, so I'm already in the kitchen. I'll just grab a kid, just one at a time. With a family our size, one-on-one time is hard to come by. Just one at a time, "Do you want to come in and be my sous chef?" It's an hour in the kitchen. It's not fancy. I'm already in there. We already have to eat. But you're right. 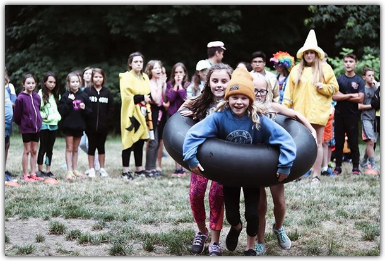 It's just kids deeply want to be connected to, in a camp setting, their counselor, obviously. In a home setting, their parents, their siblings, their family. I think that undivided time is underrated—doing just whatever. You're talking about building the fort, Darell. I remember when my boys were kind of right in the middle school age, that you've got down there running around this very day. I remember they came to us one summer and just, "We want to build a fort in the backyard. We're going to need some supplies. We need some boards, we need some nails, and hammers." I remember I thought, Oh, am I going to be a little bit too precious about this? Am I going to be this crabby, hand-wringing mom about my kids with nails and hammers?" I thought, You know what? I'm just not. I'm just not. Our parents impaired us like that. Let's give them some hammers and nails and some boards. Who knows what they're going to do? But they built a very questionable fort, very unsound. Darell: Oh, which makes it great. Jen: Oh, but it was so much fun. Jen: They were so proud of it. We went out there and we added our own zsush to it. I love what you're saying. I think some of these experiences can be created in wherever you are, be it camp or home. Darell: Absolutely. A statement I believe in, as a director of camp for so many years, is that as a director, you have to be present to win. In other words, if the staff don't see your presence there, then I don't think it's going to be a winning season. What I want to do is relate that to parents being involved with kids at play, at home. It doesn't matter what you do as long as you're present. If you're present, you're out there playing with them, then you're winning. And the kids are going to have a winning experience if Mom or Dad or a significant adult is with them. Jen: I mean that is the truest thing you've ever said. That's so great. I wonder, Darell: I know the past few years, and I think you've alluded to it earlier, you and Stacy have been dealing with your diagnosis. You've been diagnosed with MS. I wonder if you could talk a little bit about how after almost 40 years of doing this work and now having this diagnosis, which is no small deal, how do you both still find, well, the energy and the motivation to keep doing what you're doing? How are you keeping your foot on the gas? How are you managing both your health and this camp that you love so much? Darell: Yeah. Well, I guess the good answer to how do I keep my foot on the gas is that I drive with hand controls now. But in all seriousness, it's like, "Okay, there's a different way of moving forward." As long as you keep moving forward, then I think good things here are going to happen. With me, I'm 60 years old, and I've had MS for 30 of those. 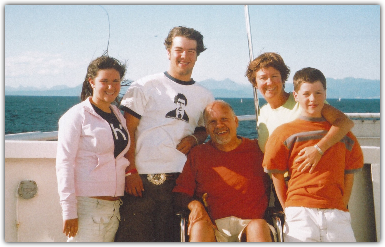 For half my life, I've had the diagnosis, and now the reality, for the last 12 years, I've been sitting down. I'm in a wheelchair, in a power chair, I mean, and it gets me around camp and all that kind of stuff. I approach camp in a different way now than I did in my younger years, actually, when I was ambulatory. What that does is, it allows me to see my staff not as just helpers but as true leaders. Darell: Those are leaders that need what I have to give them, and that's maybe wisdom and direction and belief that they can do this stuff. My thing is that I'm not so interested in the next three months of the summer in their life, but fiercely committed to the next 10 years of it. Darell: I'm thinking that if they can learn in the next three months what they're going to need in the next 10 years, then we've done our thing. Jen: Oh, that's so great. Darell: It's all a matter of being able to see the potential in these leaders and give them a challenge that's greater than themselves, to the point where they know that God has to show up, then it becomes ministry. They're excited about the ministry that they and God were able to do. Jen: I love hearing you say that. I already know in advance when I asked you this. I know the answer because I can tell by the way you're talking, but I feel very excited and thrilled and hopeful for this next generation of young adults. I think they're amazing, I think they are capable, I think they're very, very courageous. They're doing brave things that I didn't even consider until I was in my 30s. Jen: They love the world, they're involved, they're paying attention, they're smart. People throw a lot of shade at this generation coming up. I think they take a lot of criticism that I find unfair. I am of the camp, literally, that I'm excited to pass the baton to them. I'm thrilled to see what they're going to do. Jen: I love hearing you talk about your investment, not just so much in your campers, but in your staff and in your young adult leaders. At this point, do you guys have meaningful relationships with hundreds of them that you had over the years? Darell: Pretty much. It's to our joy and our honor that we would still be able to be a part of their life. It's a pretty neat deal. I mean from, like I said, being godparents to a lot of kids to performing weddings and doing those type of things, it really is an absolute honor and a joy to still be in some many lives. Stacy: I feel the same way. I just wish we had more time. It's when you have a group that you have this slice of time that you really get to know and understand and walk alongside. But it's hard now, as the years go on, to really have the time to sit down and have a conversation. I think we love people. We are just people-lovers and we're people-gatherers. That's the one thing that I'm always trying to do, "Let's have a reunion," so we can just touch with those that we were with in the '90s or those we were with in the early 2000s or something. Darell: Stacy, she is a person that is so welcoming and hospitable to where our house, there's always somebody here every night. Darell: Something going on. She rolls out the red carpet, and it's just natural for her. People can't believe . . . They feel like they've been cared for extravagantly, and Stacy's just going, "No, I just put something together." It's that warm hospitality that she brings to our family and to our relationships, as well as to camp, that some of our staff glean from. Jen: Oh, you're speaking my language right now. I love hearing that so much. I bet you have seen a lot of your staff through some stuff. There's no doubt that these kids are amazing, but I'm sure they have come to you with heartaches and struggles and suffering. I can only imagine what you have listened to and prayed for in your couch or around your dining room table. That's where all the magic happens. Darell: Oh, you got it. 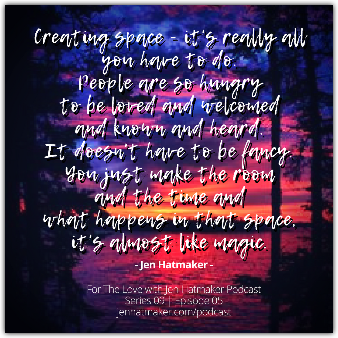 Jen: Just creating this space. It's really all you have to do. These people are so hungry to be loved and welcomed and known and heard. I talk about this a lot. I am a big fan of hospitality, and I've realized it does not have to be fancy and you don't have to over-program it. You just make the room and the time. It's almost like magic what can happen in that space. Stacy, one thing that I've read that you said, and I love this, I want to make a pillow out of this. You say, “Play is the work of heaven.” I couldn't agree more. I think it's not just for kids, it's for adults, too. Kind of like we talked about a little bit earlier, just to build in more playtime in our lives, which, frankly, I find that time shrinking away. 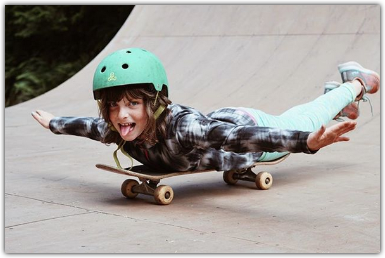 In my generation, our kids are so over-programmed, they are so over-scheduled, they're so over-stimulated that we don't actually build in a lot of playtime anymore. That's almost frowned upon. I wonder if you could talk a little bit about what that means to you and what you've seen over the years and how you advise a bunch of us parents raising kids right now. Stacy: Absolutely. I want to go on the record that I did not say that, I was smart enough to steal it. Jen: I'm going to give you credit. Stacy: Well, I read it. Jen: In my opinion, you said it. Jen: Oh, he's so great. Stacy: He's one of my faves. I think he got it from C.S. Lewis, from Annie Dillard, I don't know, somewhere down there. Stacy: I do believe it with my whole heart. I believe it with my whole heart that play is so instrumental in so many facets in a child's life, where we create a space where they can have perceived danger or perceived anxiety, but yet there is a way for them to express and laugh and run and all those neurons start to fire in a safe place. Play is so instrumental for kids to become healed, I think. I think there's a lot of healing. 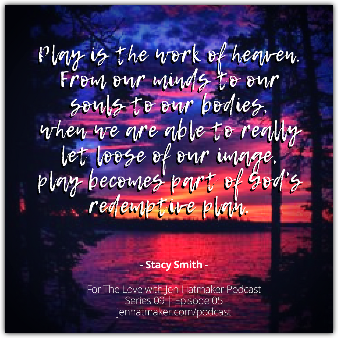 That's why the whole idea of it being the work of heaven is that play, in so many ways, from our mind to our soul to our body, creates redemptive characteristics and qualities. It's a part of God's redemptive plan, I think, when we really are able to let loose of our image. I really can't do very much well, but I love doing it all. Stacy: I think that's what I want kids and their parents to really learn how to do, to let down, be a fool, get out, fall down, get up. I think our most successful evening of the year is when we have a family dodgeball night. It is just to watch parents sweat and laugh and kids scream. I just like to sit back and just take it all in because I think, This is heaven right now. They are becoming redeemed in this process. 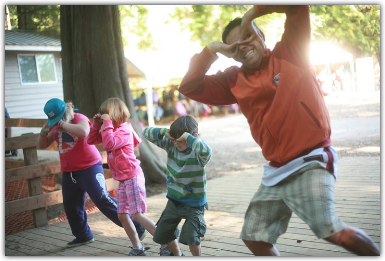 Darell: Certainly, when it comes to camp, is that play is the language that they speak. What we want to do is I believe that if a child will trust us with their play, they'll trust us with what we say. What we say is, “There is a God, and His name is Jesus. You are very important to Him and He wants to be important to you.” Play is very, very significant. I agree with Stacy. It's a serious work of heaven. Jen: I just love that. Let me ask you one more question. This is hard to answer, I'm sure. This is the classic “Which is your favorite kid?” question. But after all these decades of camp and running camp, all different facets of it, leading staff, having campers and their kids return, there's so much in the pool. If you just had to pick, if you had to say, after all these years, "This is my favorite thing. This is my favorite thing about camp life, this is my favorite thing that we did or that we do. This is my favorite moment," whatever it is. If I forced you to pick something that was your favorite, what would you say? Jen: I know. Not fair. Darell: That's a big force right there. It would probably have to be working with the summer staff and developing leaders. Here's the deal, I get it now, is that really when I see summer staff go from camp and then in their vocation, they're involved in some sort of ministry as a vocation, whether they're a youth pastor or a teacher at school or whether they're in some type of Christian non-profit thing or whatever, college ministry, whatever: those are things that are very inspiring to me, and that's what makes it worth it. Every time I see one of the summer staff that's worked with me, that I've had the privilege of working with alongside throughout the summer, every time they go on to do something like that in some sort of ministry vocation, it's like God gives me a hug that says, "Way to go, Bubba!" Stacy: Darell, I think even a little bit broader than that, I think your heart sings when you see past summer staff living out a life of serving others, because I think that's the main thing that he teaches and we teach our summer staff, is that it's about serving others. I think when we see people who have a heart to serve continuing on from this place is pretty delightful. I think it's the payback for what has been done. For me, that's a hard question. It is, but the thing that keeps coming back, and I'm going . . . This is kind of cheesy. Stacy: For me, it’s getting to partner with Darell in a work, a life work that we really get to partner together. Stacy: I wouldn't want to do it without him. Stacy: I love it and everything, but I just, I think that's been my most favorite part of doing what we do is getting to do it together. Jen: Oh, it's so special. Not many people get that story, to work together for this long in one place, doing work that you love. It's incredibly meaningful, discipling kids up to love this world well. I mean, what a life. What a life you've built. It's amazing. What a legacy you've built. Like you just mentioned, you get a share. Darell: We've been blessed. We've been blessed. Jen: Yes. What a beautiful life. And you have a little inheritance in all these other kids' stories as they grow up and they build beautiful families and ministries and they work in business and they love their coworkers and they serve the world. You get a little piece of their stories. Your book is big. Jen: You've got a long, long, long book, and it's just, what a wonderful use of your life. I love it. I'm choking up. Stacy: Me, too, right now. Hold the Kleenex. Darell: You're getting me going. Jen: Where is the Kleenex? I love, love hearing about your camp. I love hearing about your stories and your kids and your life together. I am so tickled that you've come on. Listen, I want to wrap it up by asking just some quick little rapid-fire questions. These are questions that we ask everybody in the summer series, of which you are our grand finale, of course. Here it is. You just rattle it off. We'll start with you, Stacy, and then, Darell, you can answer. Jen: What's your favorite summer drink? Jen: Hey, you know what? Love what you love. Stacy: You love what you . . . and then a jalapeno-cilantro margarita says summer any day of the year. Jen: Oh, that's spoken like a Louisiana girl right there. That's your roots showing. Jen: What about you, Darell? Darell: Well, I would say that the margarita definitely is my favorite, but I don't allow my staff to drink in the summertime, so I'm not able to drink until the fall. But, anyway, typically, that would be one. But what I have every darn day of my life is an iced Americano with sugar-free hazelnut. Jen: Oh, it's so good. Darell: It's what I have. Jen: Oh, so good. I wish I had that in my hand right now. No one has ever given me an iced drink answer, iced coffee. I just can't believe you're the first person to have the discernment to say that. That is the classic summer drink. Jen: What about your favorite . . . Now this is tricky because you're in camp work. What's your favorite summer clothing item? What's your go-to thing? Jen: I knew you were going to say that. I did. In my heart, I knew you were going to say it. Darell: I just think a T-shirt, short-sleeved T-shirt. That would be it, man. Jen: That's it. Just you're out in the woods all day, for crying out loud. Fashion is the 29th thing on the list. Darell: Yeah. I'm already in a wheelchair, so who cares about that? Jen: What's your favorite summer location? It could be anywhere, like a place inside, outside. It could be at home, it could be a location somewhere. What's your favorite summer space? Stacy: A table full of people around it, preferably outside in my backyard. Darell: Yeah, I'm thinking that's probably the same with me, having a yard full of people. Jen: That is my favorite thing, you guys. We live on an acre, and we have a big dreamy yard and a huge, huge porch. I cannot tell you how many thousands of people we have had in that yard and are on that porch around that table. My favorite thing in the world. In the world. Last one, this is a twist on a question. We ask one of Barbara Brown Taylor's questions to all of our guests in every series, but we've twisted it for the summer series. What is saving your life this summer? Darell: Yeah, I would say what's saving my life this summer is 35 staff members. I mean these guys, they have worked tirelessly, don't make a lot of money at all, but they're willing to be willing and serving hard. That's saving my life. We have a ton of kids, and these staff people become heroes and difference makers to them. Jen: That's great. Love it. How about you, Stacy? Stacy: I think long days. This is a little bit more of my downtime. I shrink from 100 kids a day during the school year to maybe 30. Stacy: They get to go to Fircreek. I think just having long days to sit sometimes in the evening and read or whatever. Jen: Oh, that's a great answer. That's a perfect summer answer, actually. 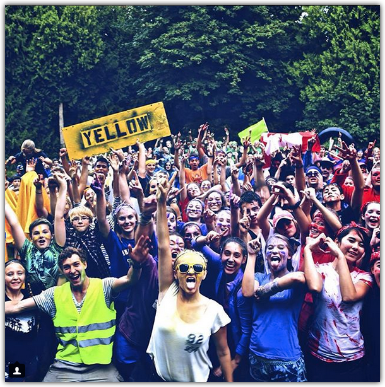 You guys, before we sign off here, can you just tell my listeners how can they find you, where can they go to find out more about camp, and what do they need to follow online to learn more about you guys? Darell: If you go to fircreekdaycamp.org, there's all the information on there from how you can sign up to be a camper, if you're interested in summer staff, that work there. Also, thefirs.org. It'll tell you all about all the ministries that are offered at The Firs and how to be involved. Jen: That's perfect. Listen, I'm grooming my own little crop of young adults. Maybe if one of them needs a job, I've got your phone number. Darell: Oh, you can send them up there. We'd love to have them. Jen: They're seasoned campers. They'd love to do it. Stacy: That's awesome. We love well and pay bad. Darell: Like I always tell every summer staff member, it's a horrible job, but it's a great ministry. Jen: Oh, it's so great, you guys. I cannot thank you enough for getting on today. Thank you for taking the time to do this right in the middle of summer, right when you're in the game right now. I know that my listeners just have been so delighted this last hour, just like I have been. We're just cheering you on from down here in Texas. Thank you for what you've done, thank you for your long-term investment in the next generation, and what a difference you've made in the lives of those kids and, ultimately, in the lives of their families. Just amazing. Stacy: Well, thanks for your voice, too, to a generation of our children's age, the 20s and the early 30s. To speak to them when sometimes they feel pretty lost about what they've been raised with in the faith and that they can still love Jesus, regardless of a lot of the stuff that's going on around them. I appreciate you being that voice for that generation. Darell: Absolutely. It's been a joy being with you this morning. Thank you so much for considering us. It's been our pleasure to chat. Jen: The pleasure is mine. Okay, you guys, back to your campers, back to the canoes. Jen: Back to all the pranks. Jen: Thanks so much, you guys. Darell: Have a great summer. Bye. Jen: Okay, listeners. I hope you loved that hour as much as I did. I was disproportionately charmed by Darell and Stacy and their story. I just think they're so fabulous. So fabulous. You guys never let us down on the crowdsourced guests. Never. Those have easily become some of my favorite episodes in a whole year of podcasting. Thank you for always showing up with your amazing people. With that, that wraps our For the Love of Summer series, which it was so much fun. It was just fun to dip into summer, all things summer, books and camps and parenting and travel. I hope you loved it. It was really fun. We have a new series starting next week. I'm telling you right now, you're not going to want to miss a single episode. We are beginning For the Love of Parenting. Let me tell you, we have some fabulous guests lined up, not the least of which—TEASER ALERT—my mom and dad. My mom and dad on the podcast. If you've been around my parents at all, you know this is going to be highly, highly entertaining. We're going to bring you experts, we're going to bring you parents who've had so many years in the trenches, and mentors. We're going to discuss it all. Come back next week as we kick off For the Love of Parenting. You guys, thank you for listening week in and week out. Thank you for subscribing, thank you for sharing these with your friends, thank you for reviewing and rating the podcast all the time. We're just so grateful for you. We listen to everything you say, by the way. Your feedback is so valuable. On behalf of Amanda and Laura and our podcasting team, we're just grateful to you. It's our joy to bring this to you week in, week out. Thanks for being with me here today. Thanks for being with us throughout the whole summer series, you guys. We'll see you next week.